Congratulations! You started your own business and almost everything is in place. Now it’s time to open a banking business account. This may seem like an easier part of getting your business off the ground. You have the business idea ready to go and you’re starting to get your name out. Now it is time to make sure your finances are being organized correctly. While opening a business bank account may seem quite simple, there are some dos and donts to follow. There are also different options to explore– from online banking to small business banking. No matter how you bank or what business you’re jumping into, there’s a business bank out there for you. Here are some things to consider when opening a business bank account. Banks are going to look at average daily balances as well as how much you have to open a business bank account. Typically, accounts with the fewest fees are going to require larger amounts to open. Also, some banks might offer cash sign-up bonuses. While this might not be on top of your priority list if you have narrowed your search down to two separate banks, the one offering the signup bonus would be the one to go with. When shopping around for different banks, it’s important to calculate what your daily balances and monthly deposits will be. Some banks will offer you zero to low fees for keeping a certain amount in your account. It is important to be realistic about this number to not acquire additional and unnecessary fees. It is also important to understand how the bank will calculate those sums and averages for daily and monthly balances so you can make an educated decision and assumption about what your balance will be. Some business bank accounts will charge you per transaction per month. It is important to understand that a transaction can be anything from a deposit, withdrawal or cashed check. Even banks that promote themselves as “free business checking” may still only allow you a certain amount of transactions a month. Make sure you do your research to find out if even the “free” banks are going to limit your amount of transactions. If they do, you should try and calculate how many transactions you may be doing per month before picking a bank. Making this decision should be solely based on what kind of business you intend to run. For example, if you are handling large amounts of cash and rely on cash for profit it may be better suited to find a business banking account that has a physical branch near you. For example, if you’re selling something online and deal mostly with online transactions, an online business checking account might be just fine. 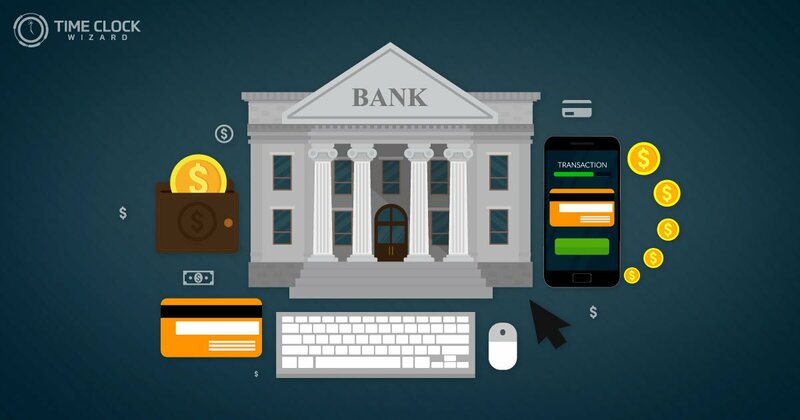 Online business banking tends to be cheaper which could be appealing to new business owners but understanding what your need is and what is best for your business is more important. Running a business is hard enough, so keep things as simple as possible. Some banks will offer you the ability to take the accounting software you are already using or intend to use and allow it to sync with the bank. For example, if you use PayPal to allow customers to make purchases, those same purchases would automatically sync with your bank account. Another example could be with QuickBooks. If you use that software to pay employees, they’ll show up on your account. Being able to have all the tools you are using sync together could mean for less time organizing and more time running your business. If you are a small business owner you may want to continue supporting other small business owners which is why you may choose a smaller bank. If you don’t care about the size of the bank and want simple and smooth online transitions and answers, a larger bank might be for you. Like with everything you need to consider, understanding what type of business you want to run will help you decide on the size of the bank you use. After establishing what type of startup bank account would be best for your business, it is time to explore different business bank account options. Many banks market themselves accordingly to what type of business you have. Whether you want a free business bank account, a bank account that caters to start up businesses or already have an established business and looking for different options, there is a business banking account for you. Here are some options for particular business bank accounts that you may consider for your business. Novo is a digital business bank account that is completely free to use. It offers a convenient app that allows you to do your banking from your phone. Novo allows you to not only use basic banking tools but offers you a financial assistant that will help you make the best financial decisions for your business. It also allows you to integrate with other tools such as Quickbooks to make for easy and convenient banking. Azlo is a completely free online banking option that is good for small businesses. Their main goal is to make banking as simple as possible but does not fall short on all the features you may need. One thing to consider is Azlo will not accept cash deposits because it is completely digital but if you are mostly working with credit, this would be a good option. Azlo also integrates with other tools like its counter-part Novo. This bank may be appealing if you are considering having all your accounts under one umbrella. In addition to it being a free business bank account, they also offer you two free personal checking accounts when opening a business account. They also offer you a feature if you outgrow the small free business checking account to upgrade to a larger business account. Wells Fargo Simple Business Checking is great for startup businesses because the first feature is you only need $25.00 to open an account. It also offers you a feature to waive the $10.00 monthly service fee by maintaining a $500.00 balance in your account. They also offer a great small business loan program. Chase Bank Total Business Checking could be a good option for multiple business owners but still being a small startup. This small business checking account option has similar features to Wells Fargo with some different amounts to consider. This account requires you to have a daily minimum balance of $1500.00 to avoid the $12.00 monthly service fee. The service fee can jump to $15.00 a month if you are not enrolled in paperless statements and baking. This account also allows you to do up to 100 transactions monthly without being charged. With so many physical locations Chase has as well as online features it is very convenient for startups. Citizens Bank Clearly Better Business Checking offers some impressive features that differ from the above two banks. This bank offers no minimum opening amount, no minimum monthly balance needed, and 200 free transactions monthly. This account is good for small startups that won’t use banking that often. The downfall of this bank is it is only located in New York and New Jersey and you have to be in those locations to use it. Bank of America Business Fundamental Checking may appear to be a little costly, but that is why it works best for established businesses. There is an $18.00 monthly fee but will be waived if there is a daily minimum balance of $3000.00 or a monthly minimum balance of $5000.00. Larger business owners report it is one of the easiest online banks to use and one of the best features is cardholders get rewards that are similar to credit card rewards. This New York bank has an account for rapidly growing businesses called the SimpleValue Business Checking account. The account is simple to use but offers a ton of features that are appealing to startups. They allow you 200 free transactions a month, no minimum opening fee and no monthly fee if there is a $5000.00 balance. Similar to the other banks in this category, CitiBank’s Citibusiness Streamlined Checking Account has a $15.00 monthly fee but can be waived for keeping a $5000.00 minimum balance. The account also allows you up to 250 free transactions per month. Finding a business bank account is a crucial step in opening a business or maintaining your already established business. After establishing your needs and what kind of features you need, it is important to do your research. Many banks offer different features and whatever feature you are looking for is available somewhere. Understanding that using a business bank account can be as personal and unique as the business itself. If you do the proper research and know what you are looking for you are sure to come up with the best bank that fits your needs.